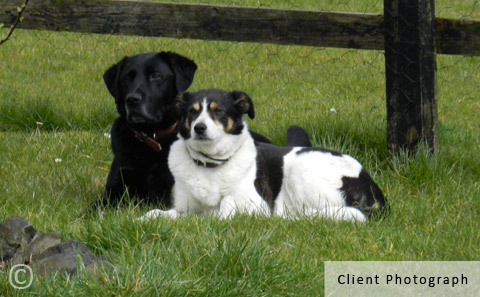 Monty and Jessie are two best friends, always glued together as described by their owner. She wanted to make sure she always remembers how close they were by commissioning this lovely pencil portrait of the two of them together. The reference photograph was perfect as it showed both dogs so close beside each other. I received a few photographs from the client and prepared one proof which she loved. 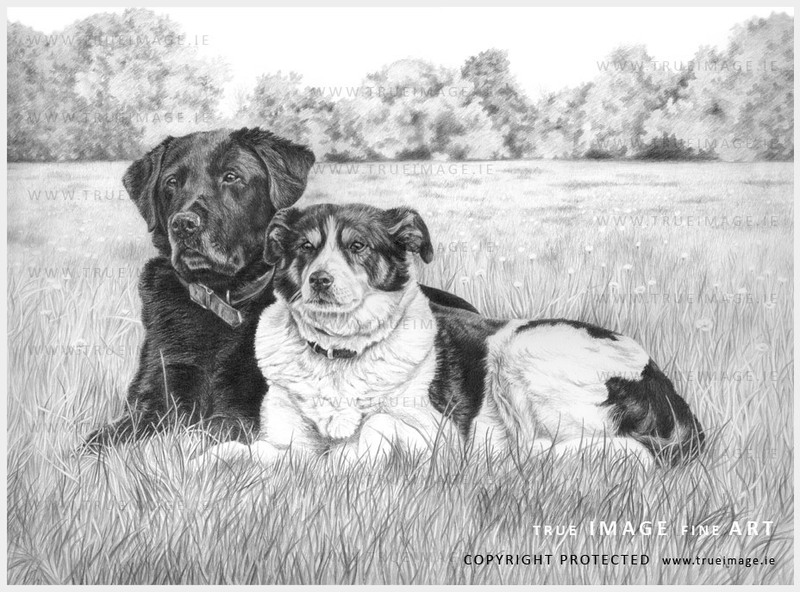 The reference photograph was taken from a distance which made it a little more difficult for detailing the drawing, but fortunately the client provided me with some close-up images of both dogs which I could use for detail. I changed the background a little, adding simple trees and a horizon line to give the drawing more depth. The client was thrilled with the result and you can read her testimonial below. ...My picture has arrived. I absolutely love it. Thank you so much. You have done such a great job, capturing them perfectly."